« Is One Really Better? I’m seeing two pushbacks this holiday season with all the new mirrorless options available, particularly the full frame ones. Image quality equal to DSLRs. Basically, the premise goes like this: the A7Rm3 and A7m3 (or Nikon Z6 and Z7) are basically the same camera with the same feature set, but with a US$1300 price differential between them. Thus, it looks like you’re paying a huge price just to move from 24mp to 42/45mp. Both companies expect to primarily sell 24mp cameras. That’s because there’s actually a hidden pushback that’s been evident for some time: many of you balk at buying the high megapixel count cameras because (a) you don’t see the need for more pixels in your work; (b) a false (mostly) false belief that noise is lower with smaller pixel counts; (c) you don’t want larger file sizes and storage needs; and (d) the larger pixel counts might force you to upgrade your computer to speed up the processing. All valid points (except for b). The problem is that sensor costs go up dramatically with lower production volume, particularly when each company is making individual changes to the sensor itself. 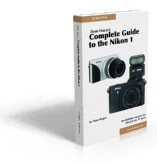 The implied part cost differential to Nikon and Sony for the lower volume, high megapixel sensors when all is said and done is something along the lines of at least a couple hundred dollars per sensor. Couple that with an enhanced need to keep alignment perfect and perhaps more bandwidth needed internally to deal with the additional data, and that ends up costing you something, too. I doubt that Nikon and Sony are gouging their customers with the high megapixel count cameras. It may be that they’ve underestimated demand, and thus marked them up higher than they need to be, but that self corrects over time. We’re already seeing US$400 discounts on the A7Rm3 this holiday season, which seems to imply that Sony left themselves some headroom on pricing. Remember, it’s always easier to lower price than it is to raise it, so the US$1300 difference is probably higher than it need be, and will change over time as demand numbers actually are measured. We’re actually going to see more of this type of split pricing in the future, not less. As volume continues to come down overall, the top end of each companies’ lineup is likely to be continue to look to be priced considerably higher than the lower end, even if the feature/performance differences don’t look dramatic. It’s the old demand/price equation at work. If demand is lower, price to recover R&D costs per unit goes higher. The second pushback is a tough one for the camera companies. It’s one of the reasons why Canon and Nikon stuck with DSLRs as long as they did: just going mirrorless doesn’t necessarily net you any image quality gain, and the buying public has been figuring that out. It's still mostly true today. For example, the four-year old Nikon D750 holds its own against the brand new Z6. Both are 24mp full frame cameras, and there’s only a 10% difference in weight between them. You can buy a D750 for US$1400 today and get a bunch of goodies with it (grip, extra battery, memory card, bag). The Z6 is US$2000 (and you’d probably need to add another US$100 to that because you’d want the FTZ adapter to use your existing lenses). So what do images look like from the two cameras? Virtually indistinguishable (above ISO 800 there might be a one-third stop advantage in dynamic range to the Z6, but that’s still pretty much indistinguishable in real shooting). Why wouldn’t you save the US$600-700 (and pick up some extras)? Sony has a similar problem in a different form. The A7m2 and A7m3 are indistinguishable in image quality, too, at least out to ISO 640 (the A7m3 is probably two-thirds of a stop better past that, which many people would notice). The A7m3 is US$2000, but right now the A7m2 with a kit lens and goodies is US$1050. You pay a lot of money for some additional performance and features, and probably no real image quality improvement in daytime use. Sure, and when the image quality is the same (e.g. D750 and Z6)? Expect a lot of D750’s to be sold this holiday season due to the pushback. If you were wondering why the D750 replacement hasn't appeared yet, this is one of the reasons: Nikon knew they could unload a lot of the existing model at lower pricing. A lot of Web sites get caught all up in the “latest and greatest” promotion of new products. Reality is a bit different than many of those describe. Yes, there are leading edge purchasers buying Canon R, Nikon Z, and Sony A7 Mark III models. But that wave isn’t as big as you might think. There’s always pushback and price sensitivity that comes into play, and that often drives sales of products you might not expect should be selling well. Nikon mastered that a long time ago with their DSLRs, and both Canon and Sony are now practicing similar strategies. Expect us to continue to see this into the future: as new leading-edge products roll out, the actual best seller will likely be the previous generation on discount.